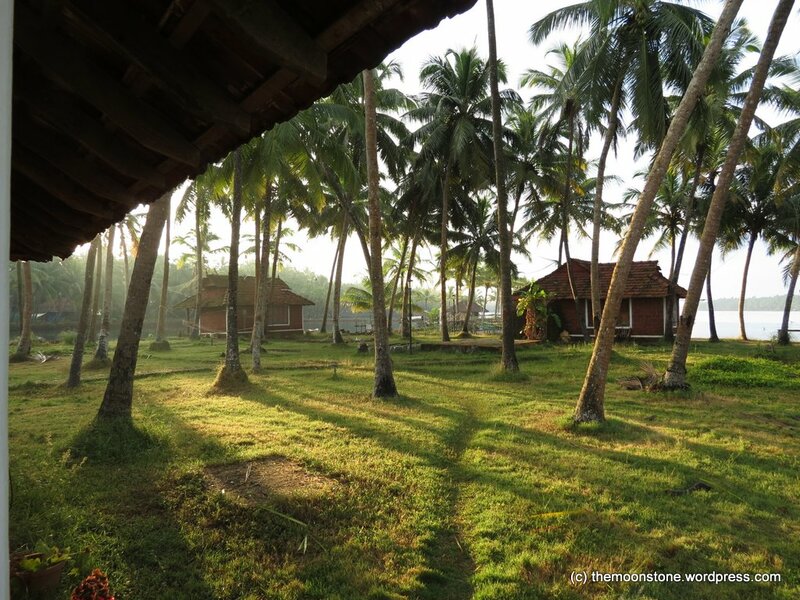 It was a dream to have a weeklong vacation in Kerala with all the flavors of nature – The mountains, seas and backwaters.Thanks to Kissan for sponsoring the vacation and to Indiblogger and India Untraveled who enabled the same ! India Untraveled arranged all the bookings and went that extra mile to tailor the whole package to suit our requirements. We (Me, my husband and my 7 year old son) started our journey by road on 28th October,6.30 AM from Bangalore. We stopped for breakfast at Kadambam (78 Km from Blr,Sarjapur Road) which serves excellent south Indian dishes. Their specialty is a delicious sweet Pongal.We passed through Mandya, Mysore,Nanjangud, Gundalpet and reached Sultan Bathery in Wayanad by 1.55 PM. We were at Treasure Trove, our first destination at 2.10 PM (280 Km from Blr).Treasure Trove is a homestay located near Meenangadi and has two lovely bamboo cottages on stilts. 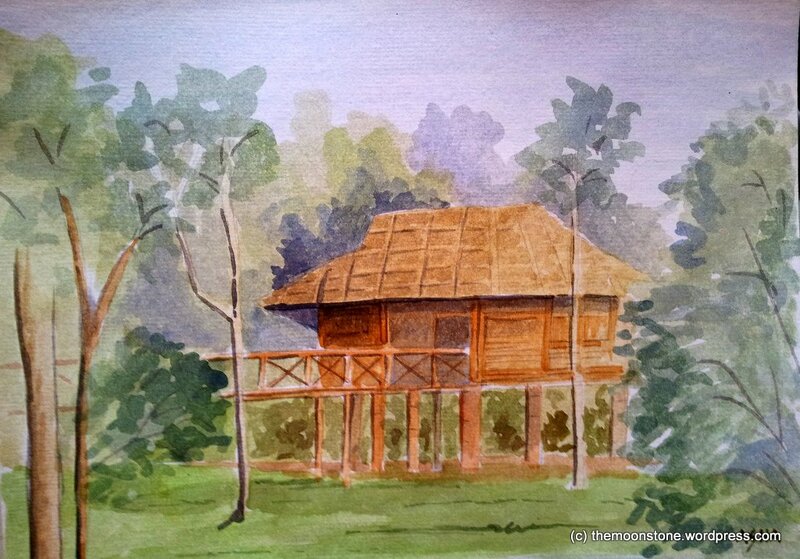 These cottages were built by Uravu, which is a small scale bamboo industry in Wayanad. 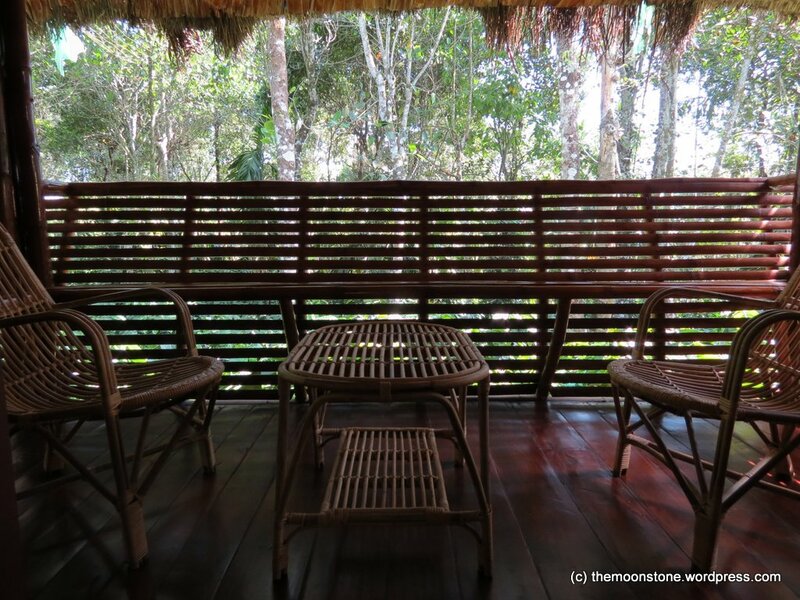 They have all the modern amenities and a nice bamboo balcony surrounded by a canopy of trees where one can just sit and listen to the chirping of the birds and see the sunlight filtering through the trees. 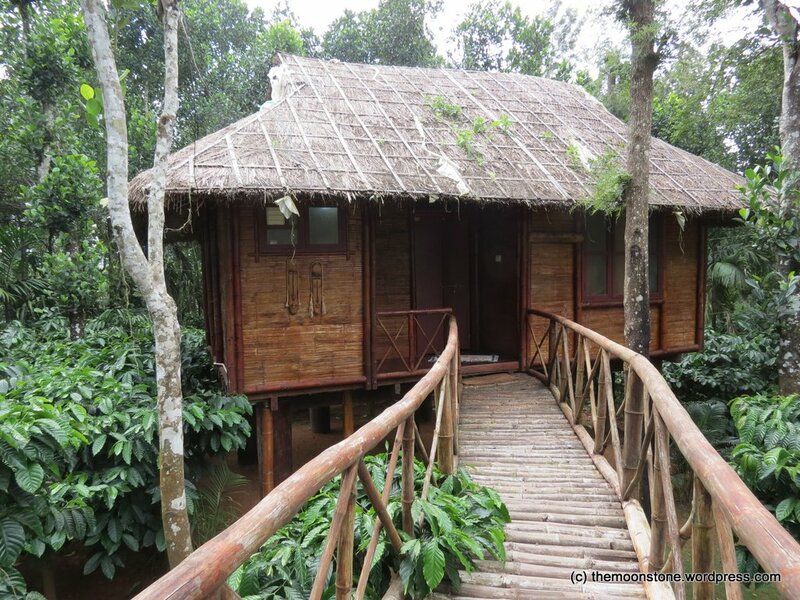 The cottages are located amidst coffee plantations and provide ample opportunities for sighting different birds and butterflies. Our hosts, Sunil and Reena and their two beautiful children were warm and hospitable. Food consisted of simple but delicious Kerala food served in the main house. 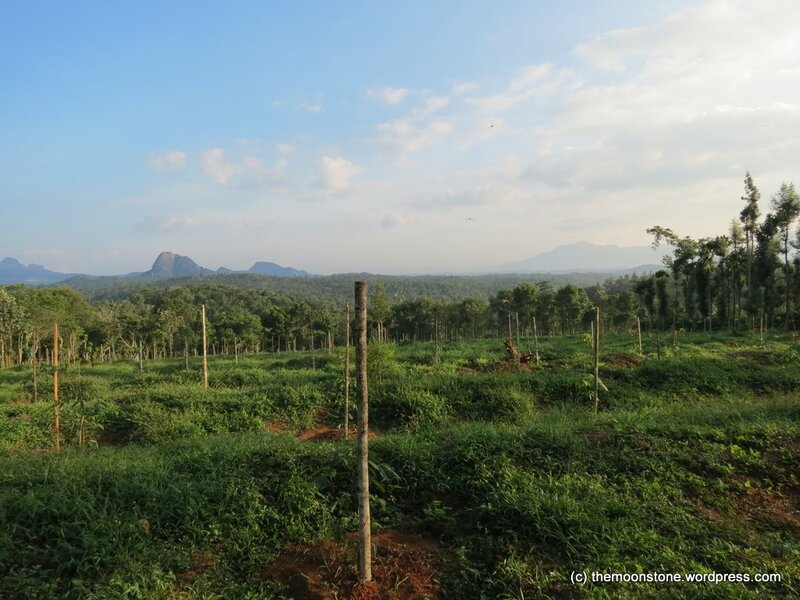 In the evening, we went for a plantation walk which culminated in a spectacular view point of the distant Chembra peak. There are lots of places to see in Wayanad like Pookote Lake, Banasura Dam, Soochipura Waterfalls, Chembra peak. Some of them we had seen on earlier visits and some of them were closed like Edakkal Caves (closed on Monday) and Kurva. So we decided to explore the nearby places. 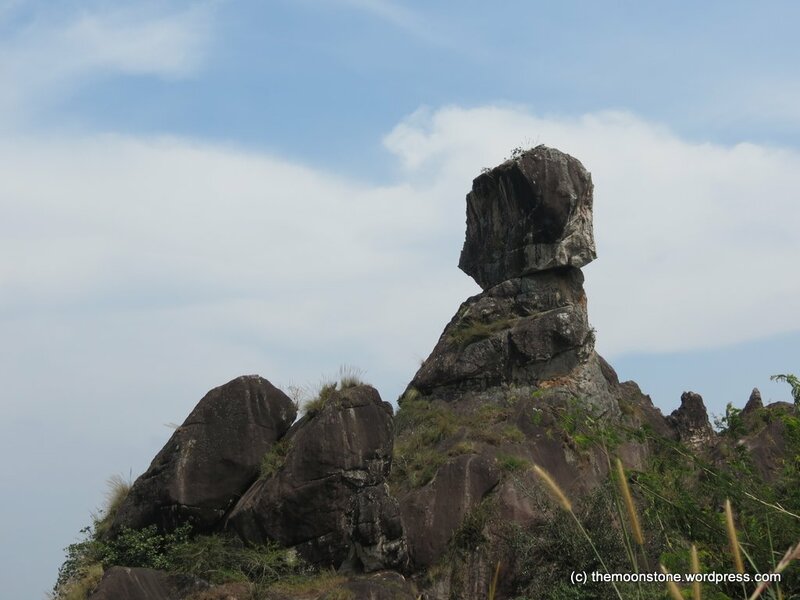 Phantom Rock is a rocky mountain which looks like the rock in Phantom comics. It affords a scenic view of the nearby peaks. Karapuzha Dam is another place situated close by. We visited the Wayanad Heritage Museum which houses archeological artifacts including some, dated 1 and 2 AD. Since the deep forest trek which had been the initial plan, was suspended, we took the Jeep safari into the Muthunga Wildlife Sanctuary. You have to reach the counter really early (preferably by 6.30 AM) as it’s on a first come first served basis and only 40 jeeps are allowed in the morning. We spent well over 1 hour in the safari but didn’t spot anything much, other than some deer and peacocks. The only highlight was a fresh kill of a porcupine by a leopard with the spot marked by fresh blood stains, lot of quills and the footprints of the leopard. 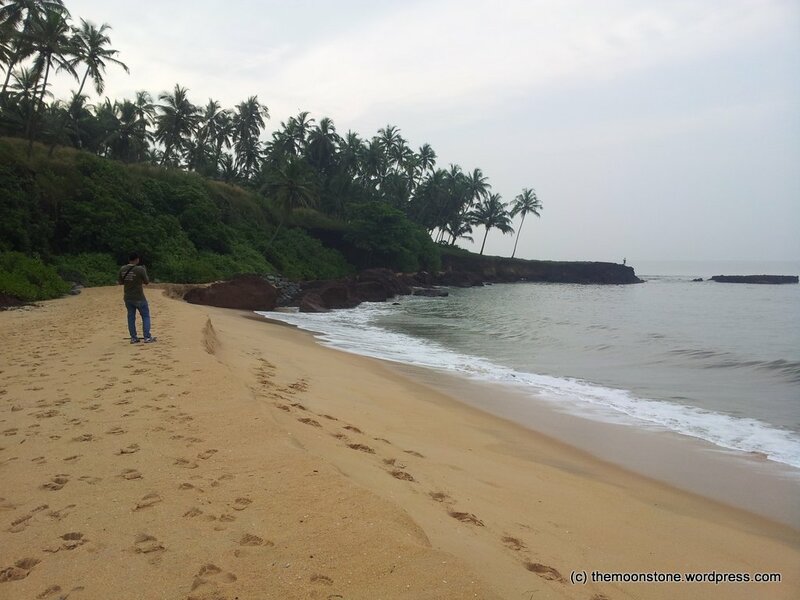 We started from Treasure trove at 10.30 AM on 30th October for our next destination – Blue Mermaid, Kannur. We took an inside road as the highway road was riddled with pot holes. We stopped at an old Jain temple on the way and found it very intriguing though it was obviously not maintained and was surrounded by overgrown vegetation. The road from Wayanad to Kannur had breathtaking scenery, surrounded by thick vegetation and tall trees on either side. We reached Thottada village near Kannur and as the winding roads twisted and turned, the vista opened and suddenly there was the sparkling blue Arabian Sea ! We reached Blue Mermaid at 3.00 PM, located deep within Thotada village, 130 Km from Wayanad. We were warmly welcomed by Indu and her staff who runs the homestay. 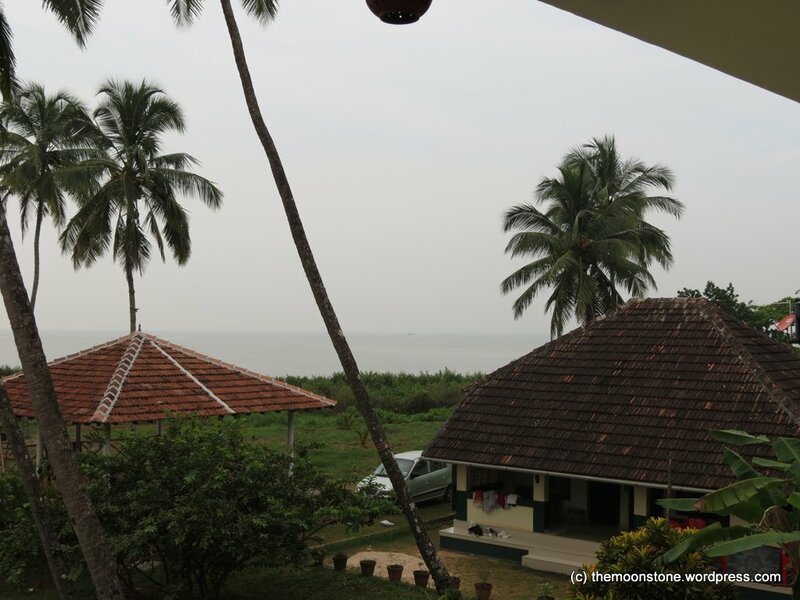 We took the room on the first floor as it had a very scenic view of the sea. The room was nice with clean sheets and linen and a nice bath. 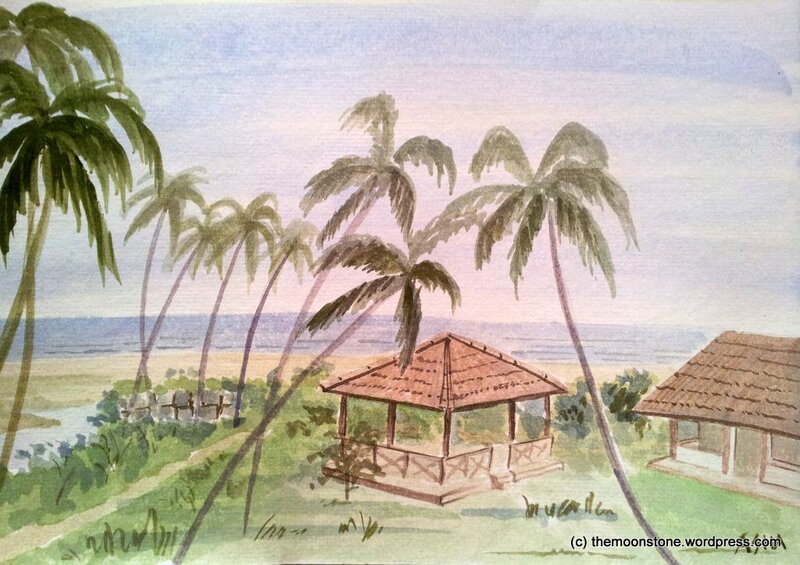 The beach was secluded and had only a few people from nearby resorts. The golden sands and the sparkling sea welcomed us and we spent most of the day at the beach. The food at Blue Mermaid was authentic, lip smacking Kerala food and had a decent spread. It included dishes like Drumstick leaves Mologoshyam, Theeyal, Puttu, Stew and Vazhapoo curry. Since we didn’t want to rush around seeing places, we decided to limit ourselves to just one – Fort St. Angelo situated quite close by. 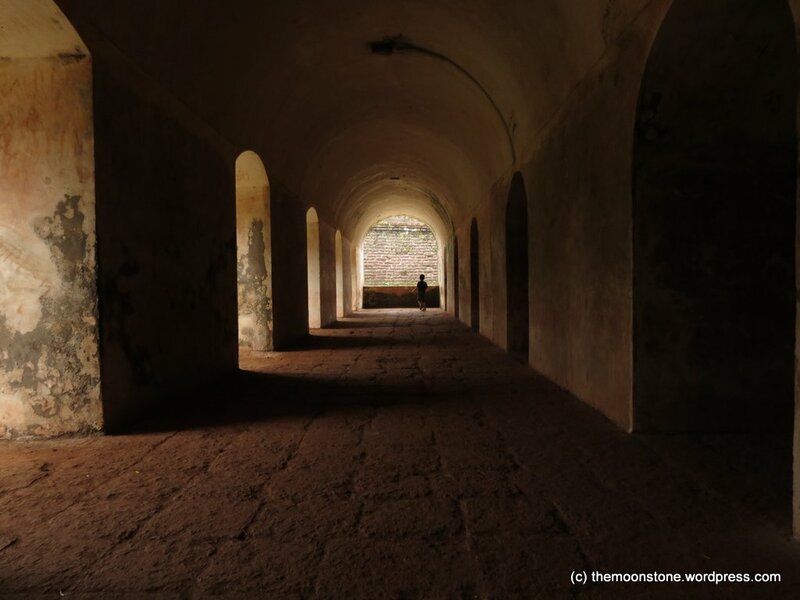 The fort is massively built with laterite stones. It boasts of a rich history and was inhabited by the Portugese,Dutch, Ali Rajas of Kannur and British at different periods. After 2 days of soaking up the sands and the sun, it was time to start for our third & final destination – Oyster Opera, Chervattur. The route from Thottada village to Padanna village near Chervattur took us through several small and sleepy Kerala towns, backwaters, quaint bridges, discreet temples and interesting roads. And the last stretch was a turn from the main road which led to the island and then the sight took our breath away. Backwaters and lush coconut trees flanked us on both sides and we finally reached Oyster Opera at 1.10 PM,73.5 Km from Kannur. Oyster Opera is a resort run by Mr. Gul, who owns several mussel farms. It consists of 5 or 6 cottages, each with its own individuality based on its placement and the material used for construction. 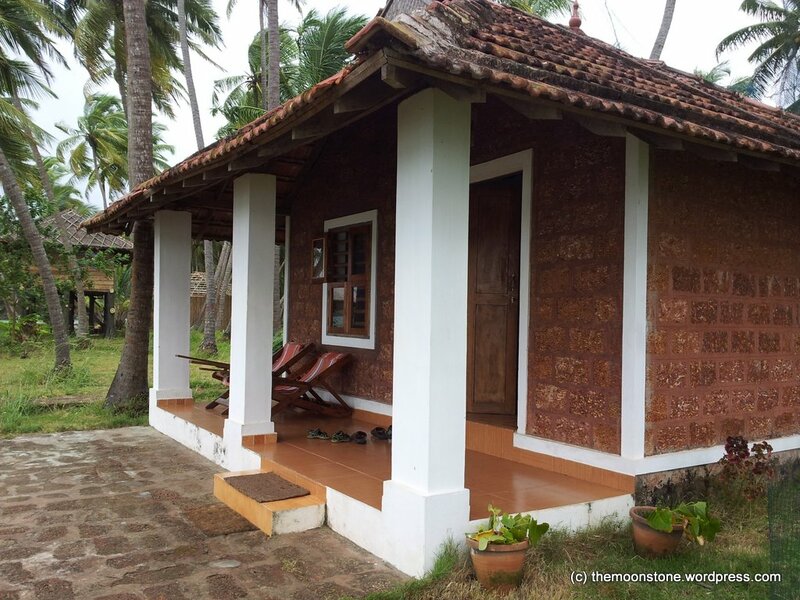 We stayed at “Shrimp”, a quaint cottage built with laterite stones with an open-roofed bathroom, facing the backwaters. The beauty of the landscape cannot be described in words and the photos possibly depict a little of what we actually saw. 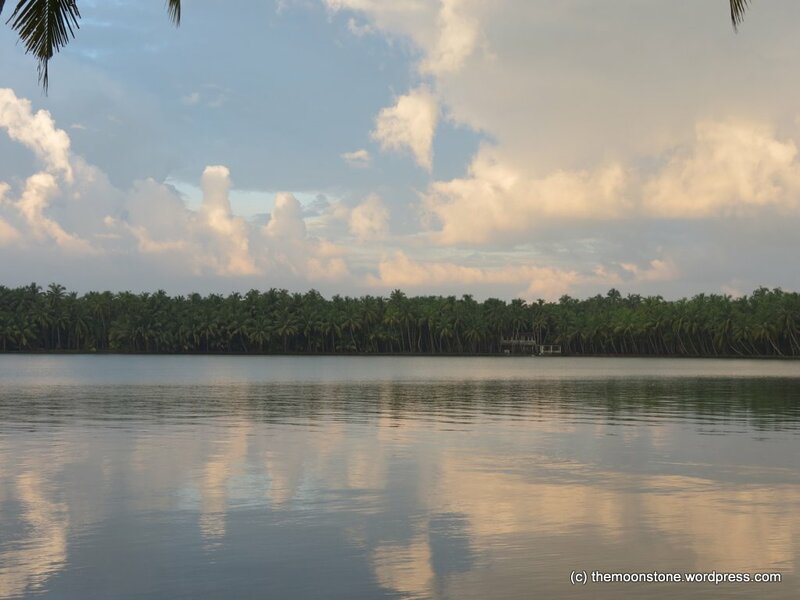 The cottage with its stone steps almost kissing the backwaters, with a lazy hammock swinging between coconut trees was a dream come true. The afternoon we reached, cyclonic winds and rain hit the waters. Though, we were confined to the room, it was an experience to watch the winds and the dark clouds swirling on the horizon and the waters reflecting several strange and mysterious colors. The next day, we opened the door to be greeted by the shimmering clear waters and a blue sky. We spent the time in Oyster Opera, just drinking in the beauty, canoeing in the small inlet of water and boating in the backwaters. The food was also amazing with a full Kerala sadya, idichipuzhunja payasam, kappa and several other delicacies. The owner, a very humble and unassuming man, himself served the guests. It was soon time to leave and we bid adieu to the beautiful place. We took the Ranipur route via Madikeri which was supposed to have better roads than the main roads. But the road after Panathur in Kerala, was rough. The mountainous forests amidst pouring rain with bad roads combined with the threat of wild elephants would have been arduous , if it were not for the fantastic scenery and the fact that our car was the only vehicle for hours on end. After we stepped out to admire a hidden waterfall and got back to the car, we were in for a nasty surprise when we discovered some un-invited guests – 7-8 leeches in the car !! We had donated quite a bit of blood to three of them who had become round and satiated! We painstakingly searched and deposited them back on the grass and bid them a hasty goodbye. We had a break journey at Mysore Infosys campus for one night and returned back to Bangalore on Saturday evening, 2nd November after a 1040 Km road trip and our hearts and minds full with the beauty of God’s Own country ! Bad stretches : After entering Kerala on the Bangalore to Wayanad route, road is not so good. Panathur to Talacauvery near Madikeri approx.68 Kms, Ghat road through wildlife sanctuary is filled with pot holes.